Jupiter offers beautiful homes and real estate in Palm Beach and Martin County. With a population just over 50,000 Jupiter is known for its beaches, parks, and social amenities. Jupiter offers a great variety of communities offering golf country clubs, farms, luxury homes, townhomes, condos, and single family homes. Abacoa is a beautiful, charming community located in Jupiter. Abacoa is comprised of sixteen spectacular neighborhoods truly giving an at home feel and pleasant, friendly atmosphere to live in. Gorgeous scenery is plenty in Abacoa with lush landscaping, exciting bike trials, lavish preserve, and fabulous community events. Abacoa has it all right within the community from gourmet restaurant choices, fun shopping, entertaining outdoor recreations, and more. Real estate in Abacoa is pristine from impeccable condominiums, to desirable townhomes, and magnificent single family homes all with unique upgrades that youre sure to love. There is something perfect for everyone in Abacoa with lovely real estate choices and an endless amount of amenities and attractions just within minutes. Admirals Cove offers over 900 residences and miles of canals with ocean access properties. Admirals Cove also offers a 72 slip marina, a marina cafe, and shop. Admirals Cove has 45-holes of golf as well as 12 Har-Tru Tennis Courts. The Clubhouse offers 32 guest suites for friends and family of homeowners. Also, the Clubhouse offers a fitness center, salon, private banking, spa, and two golf pro- shops. The homes in Admirals Cove offer a wide variety of selection, whether you are looking for a condo with a dock in your back yard, a home on the golf course, or a 20,000 square foot estate home, Admirals Cove offers it all. Antigua located in Jupiter, Florida is located in Abacoa close to I95 and the mall. Antigua townhomes are two and three story town homes located steps away from the baseball field, restuarants, public tennis courts, skate park and shops of Abacoa.Antigua also offers live work units if you are looking to run a business out of your home. If you are looking to be in a newer townhome or single family community in the heart of Jupiter, Abacoa has many great communities to choose from. These communities include Somerset, Tuscany, Martinique, Mallory Creek, Cambridge, and Valencia. Beachcomber, located in Jupiter, Florida is a beautiful gated community steps away from the ocean. Beachcomber offers 56 units that are 2 and 3 bedrooms. Some units in beachcomber offer amazing views of the ocean on multiple levels. Beachcomber offers a community pool and spa as well as an unmanned security gate. Located just steps away from shopping and restaurants as well as the beautiful Atlantic Ocean, Beachcomber offers the best of the all worlds. Bella Vista located in Jupiter, Florida just off of Indiantown Rd is known for its great location, nice amenities, and its overall appeal. Bella Vista offers 64 condo units in 8 buildings as well as 136 townhomes. Bella Vista offers units with views of the ocean as well as the park. Amenities in Bella Vista include tennis courts, community pool, spa, and picnic area. Bluffs Marina are Divosta built condos offering Marina and Intracoastal views. Bluffs Marina offers 780 2 bedroom units in 26 buildings with 5 floors. Bluffs Marina offers docks for sale and rent. Amenities in Bluffs Marina include tennis, pool, and marina. Most units in Bluffs Marina offer balconies overlooking the water. Bluffs River is a town home community located in Jupiter, Palm Beach County, Florida. Bluffs River is comprised of 312 town homes, featuring two bedrooms and 2.5 baths. Homes in this community offer large fenced in courtyards, upgraded kitchens and bathrooms, tile flooring, large bathtubs, crown molding, stainless steel appliances, and more. The community offers a clubhouse, recreation facilities, swimming pool, and tennis courts. Bluffs River is just minutes from area schools, shops, golf, a wide array of restaurants, beaches, parks, theaters, and other entertainment venues. Botanica located here in Jupiter, Florida is a mixture of townhomes, single family homes, and estate homes. Sandpiper Cove at Botanica is the townhome section offering 3 and 4 bedroom floorplans. Sparrow, Swan, Pelican, and Ibis area a few of the floor plans. Sandpiper Cove offers B buildings on three floors, with 107 units. Botanica single family homes offer a beautiful key west style architecture as well as homes with guest homes/ royal retreat. The Estates of Botanica offer beautiful upgrades, impact windows, as well as larger lot sizes. Cambridge is located in the heart of Abacoa, in Jupiter, just west of Military Trail. Cambridge has 209 townhomes and single family homes. Townhomes range from 1800 square feet, and 2-bedroom homes from 1200 square feet. Amenities include a community pool, as well as the nearby Abacoa Town Center, featuring a variety of boutiques, restaurants, Roger Dean baseball stadium, and other entertainment opportunities. If you're in the area over President's Day weekend, make sure you come to Abacoa to check out Ardigras, the annual art festival. Cambridge is a great neighborhood if you like taking walks, walking your dog, running, jogging or doing anything else outdoors. With sidewalks connecting all of the other Abacoa communities and nature paths into the preserve areas and Greenways, you can't help but want to spend some time outside in this lovely community. Canterbury Place is one of Abacoa's newest communities. With its French Country and Tuscan designs, and its multiple floor plans for townhomes and single family homes, there is truly something for everyone in this Jupiter neighborhood. Canterbury Place is just a few miles away from Downtown at Abacoa and Roger Dean stadium, 10 minutes from the beautiful Jupiter Beaches, 5 minutes from Downtown at the Gardens, and steps away from A ranked Jupiter Schools. Canterbury place is a great family community. Cinquez Park is a tranquil residential community of single family homes located in Jupiter, Palm Beach County, Florida. Cinquez Park homes range from two to four bedroom floor plans. Homes offer upgrades including gourmet kitchens, stainless steel appliances, granite counters, wood cabinets, crown molding, upgraded flooring, large bedrooms, walk in closets, and lovely front porches. Cinquez Park is centrally located just minutes from shops, restaurants, parks, beaches, schools, major highways, golf, and more. Corinthians located directly across the street from the ocean in Jupiter, Florida offers beautiful views in a great location. This 6 floor building offes 58 2 and 3 bedroom units. Corinthians offers a communitiy pool, tennis court, and exercise room. The Corinithians also offers beach chair storage as well as bike and luggage storage. Egret Landing, located in the heart of Jupiter Florida, is a wonderful community of large homes. Great neighbors and families make this one of the premiere communities in Jupiter, FL. Egret Landing is very popular with families due to it's great school assignments and very kid friendly atmosphere. This community features 7 tennis courts, a tot lot, a basketball court, a community pool, a beautiful clubhouse and much more. All of this is included with a low HOA. Fox Run located just North of Indiantown Rd in Jupiter is a rare single family home community offering 1 acre plus lot sizes. Fox Run offers 41 single family homes that are wood frame or concrete block. This low density non-cookie cutter community is a hidden jewel here in Jupiter, Florida. Fox Run is close to shopping, restaurants, and the beach. It is country living in the heart of town. The Hamptons, located in Jupiter, Florida is a beautiful single family home community in the center of Jupiter. This Divosta built community offers beautiful lake views. The Island At Abacoa was one of the first sections built in Abacoa here in Jupiter. The Island at Abacoa offers 170 Victorian style homes and tonwhomes. Homes here in the Island at Abacoa offer beautiful golf course and lake views. The Island at Abacoa offers a community pool, clubhouse, and playground. This community offers a great location close to great shopping dining, and public golf course. Located just minutes from the Jupiter Inlet, Jonathans Landing is a beautiful waterfront Country Club community in Jupiter, Florida. Jonathans Landing offers a full service marina, three 18 hole golf courses, 10 tennis courts, and 2 clubhouses. Jonathans Landing has a variety of housing options for the full time or seasonal home buyer. Large custom estate homes on the intarcoastal or golf course, single family homes, town homes, villas, and condos on the intracoastal are the many options you have when looking to buy in Jonathans Landing. Jupiter Country Club is a luxury golf community located in Jupiter, Palm Beach County, Florida. Jupiter Country Club offers a variety of homes, including townhouse villas and single family estate homes. Homes offer gourmet kitchens, stainless steel appliances, wood cabinetry, granite counters, upgraded flooring, crown molding, large bedrooms, walk in closets, oversized bath tubs, and much more. The community offers a gated entry, 18 hole golf course, community clubhouse, tennis courts, two swimming pools, state of the art fitness center, and a restaurant. Residents of Jupiter Country Club are just minutes from shopping, theaters, parks, beaches, dining, and schools. Jupiter Cove is a beautiful condominium community located on the intracostal in Jupiter, Florida. Jupiter Cove offers 2 bedroom condos with intracoastal views and boat dockage. Jupiter Cove consists of 3 buildings 6 stories high all having great views of the intracoastal. Jupiter Cove offers tennis courts, a clubhouse, heated pool, and covered parking. Located close to the beach, great restaurants, shopping, and boating, this community is a must see. Jupiter Farms located here in Jupiter, Florida is an amazing community of homes all on 1 acre plus home sites. Jupiter Farms, located just west of the Turnpike off of Indiantown offers easy access to 95' the Turnpike, great Jupiter shopping and restaurants. Jupiter Farms offers great equestrian facilities, agricultural land, and lots to spread out in. Jupiter Harbour is a beautiful manned-gated community here in Jupiter, Florida. Jupiter Harbour offers townhomes as well as condos on the water. Jupiter Harbour condos overlook the intracoastal and offer a community pool Jupiter Harbour townhomes offer views of the marina and the intracoastal. This beautiful community offers tennis courts, pool, boat dockage and marina. Jupiter Harbour offers a great location close to some of Jupiter's best restaurants and the beach. Jupiter Inlet Colony, FL is a beautiful town located on the Atlantic Ocean. Located at the southernmost tip of Jupiter Island, there are few places like it. Jupiter Inlet Colony consists of a small secluded community of homes all with quaint walking paths to the blue waters of one of the most beautiful beaches in South Florida. The main community "Jupiter Inlet Beach Colony" sits in between the Atlantic ocean, the intracoastal and the Jupiter Inlet. All homes in Jupiter Inlet Colony are a short walk to the beach and some sit directly on the ocean, intracoastal or the Jupiter Inlet. The community is located in beautiful Jupiter Florida. The community, Jupiter Key, is one of the nicest around. It offers great ocean views from many of the homes as well as a great gated community. There really is nothing like walking out of your Jupiter Key front door and within 1 minute walking down the wonderful Jupiter oceanfront. Jupiter Ocean Grande are four beautiful key west style buildings directly across the street from the ocean in Jupiter. Jupiter Ocean Grande smaller buildings consist of 18 units in each building, the two larger East buildings offer 48 and 54 units. These buildings were built in 2000 and are amongst the newest buildings in Jupiter. Condos offer beautiful views of the ocean and pool. Jupiter Ocean Grande offers 24-hour security as well as two interior parking spaces, fitness center, billiard room, and heated pool. Landfall is a condominium community located in Jupiter, Palm Beach County, Florida. Landfall is comprised of one building with 7 floors and 28 units. Each floor has four units and all units have three bedroom floor plans. Some features of units in Landfall include large floor plans, marble flooring, high ceilings, split bedroom floor plans, gourmet kitchens, stainless steel appliances, granite counters, wood cabinetry, walk in closets, crown molding, roman tubs, and beautiful views of the Atlantic Ocean and the Intracoastal Waterways. The community offers boat dock access and is close to beaches, shops, dining, golf, and other entertainment. The Loxahatchee Club located in Jupiter, Florida is a beautiful golf commununity offering many great amenities. Known for it amazing golf course, the Loxahatchee Club now offers a brand new fitness room, beautiful pool, aerobic room, and outdoor food service. This new clubhouse located in the front of the community is located next to three har tru tennis courts.The Loxahatchee Club in Palm Beach Florida is one of the most exclusive communities in the county. The added amenities to this beautifl club make it a one of the most luxurious communities in the area. Meet Jupiter's newest up-and-coming neighborhood. Mallory Creek is an adorable Key-West inspired neighborhood developed by DiVosta. There are still many new homes and townhomes to be built, but once this neighborhood is completed, it's sure to be a favorite. With street names like, “Sunshine Street” and model names such as “Bay Breeze” and “Gulfwind”, who isn't sure to fall in love with this tropical retreat' DiVosta's standard features have been much improved for this new neighborhood. No more plain white counters and cabinets. DiVosta now offers many different options and has higher quality standards for all of their options. Mallory Creek is just in the heart of Abacoa, making it extremely convenient for shopping, schools, beaches and restaurants. Martinique in Abacoa is a unique Caribbean-style subdivision in Abacoa in that it offers custom homes. Many of the homes are built by DiVosta, but the custom homes were built by both Frankle Paone and Issa Homes. There are still a few home sites left to build a custom home. Amenities include a community Civic Center, Village Green with heated pool, cabana, and playground. Roger Dean Stadium, boutiques, and restaurants are only minutes from your doorstep. Martinique at Abacoa is found in the North-West section of Abacoa, tucked away from all of the busier sections, making it nice and quiet, but still very convenient. Mystic Cove located in Jupiter, Florida is a beautiful gated community of Mediterranean homes. This community offer 1/4 + acre lots as well as beautiful beautiful upgrades and interiors. One of the few gated communities in Jupiter, Mystic Cove is close to all of the best shopping and dining. Newhaven located here in Jupiter, Florida was one of the first communities built in Abacoa. Built in 1998, Newhaven offers a beautiful community pool, tot lot, and clubhouse. North Fork is a community of luxury estates located in Jupiter, Palm Beach County, Florida. North Fork is comprised of 132 estate homes situated on large lots. Homes have barrel tile roofs, either single story or two story floor plans, preserve or lake views, swimming pools, spas, outdoor kitchens, stainless steel appliances, granite counters, wood cabinetry, hardwood or marble flooring, roman tubs, walk in closets, and more. The community is quiet and private and features winding roads, lined with trees and lush tropical landscaping and a gated entry. North Palm Beach Heights is a residential community located in Jupiter, Palm Beach County, Florida. 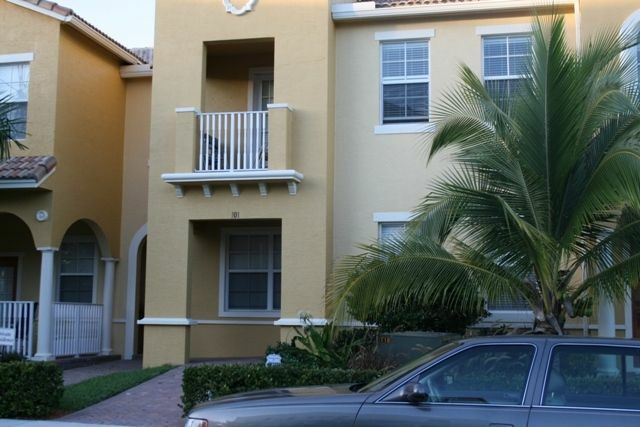 North Palm Beach heights is comprised of single family homes, which many upgraded features. Homes have gourmet kitchens, stainless steel appliances, granite counters, wood cabinets, crown molding, upgraded flooring, oversized tubs, walk in closets, large bedrooms, and more. The community hosts activities for residents, and offers a community park and community newspaper. Residents are just minutes from Abacoa, A rated schools, shops, dining, theaters, and other entertainment venues. Ocean Club is a luxury, waterfront condominium community located just steps from the beach in Jupiter, Palm Beach County, Florida. Ocean Club is comprised of two or three bedroom units, with split bedroom floor plans, walk in closets, roman tubs, and breathtaking ocean views. The community offers gated entry, heated swimming pool, whirlpool spa, steam room, sauna, fitness center, air conditioned storage, gated parking garage, sun deck, gazebos, and lush tropical landscaping throughout the property. Ocean Trail is a beautiful oceanfront condo community located in Jupiter, Florida. Ocean Trail features luxurious condos with amazing ocean views and amenities! Ocean Trail provides instant access to the beach, security, garage parking, pool area, spa, and tennis courts. Located in the heart of Jupiter, Florida the amazing community Ocean Trail has a premier location near all of Jupiter's finest beaches! Ocean Trail offers luxury condos, ocean views and amazing amenities! Enjoy the relaxing beach lifestyle when living in Ocean Trail with easy access to all of Palm Beach County's finest amenities including airports, highways, downtown areas, entertainment, shopping, fine dining and miles of coastline! Ocean Walk is a single family home community located in beautiful Jupiter, Palm Beach County, Florida. Ocean Walk is comprised of 185 homes, featuring two, three, and four bedroom homes. Some of the homes are one story, while others have two floors. Homes vary in style, size and layout. Many homes have upgraded features such as gourmet kitchens, stainless steel appliances, crown molding, granite counters, wood cabinets, upgraded flooring, walk in closets, large bedrooms, oversized tubs, private gardens, swimming pools, patios, and more. Ocean Walk residents can enjoy the sights and sounds of the Atlantic Ocean, and can travel just minutes to shops, dining, and more. Oceancrest is a condominium community located on A1A in beautiful Jupiter, Palm Beach County, Florida. Oceancrest is comprised of one building with six floors and 161 units. Most of the units have breathtaking views of the Atlantic Ocean. Many units also have stainless steel appliances, granite counters, tile flooring, crown molding, upgraded bathrooms, large closets, and other fine finishes. Oceancrest offers its residents a private walkway to the beach, a swimming pool, hot tub, sauna, media room, 24/7 security, and a close proximity to golf, shops, dining and many other entertainment options. Olympus is a small and tranquil residential community located in Jupiter, Palm Beach County, Florida. Olympus is comprised of 117 single family homes, ranging in size and style. Homes have many upgrades including stainless steel appliances, granite counters, wood cabinetry, crown molding, hardwood floors, walk in closets, marble baths, oversized tubs, granite counters, and swimming pools, the community is just minutes from schools, shops, dining, theaters, beaches, golf, major highways, and airports. Osceola Woods is a town home community located in Jupiter, Palm Beach County, Florida. Osceola Woods is comprised of three story town homes, ranging in size. Homes have a live/work room on the first floor, gourmet kitchens, granite counters, stainless steel appliances, wood cabinetry, hardwood flooring, crown molding, walk in closets, and roman tubs. The community offers a swimming pool and beautiful views of an adjacent preserve area. Osceola Woods is in the known Abacoa area, which offers many dining and shopping options as well as other entertainment venues. One of Jupiter's newer communities The Paseos is a beautiful community of 325 single family homes. The Paseos community boasts many wonderful walking trails, parks and a very large nature preserve. In addition to the great natural areas, the community has many great amenities such as a clubhouse, tennis and a community pool. With all of this and a great location near the new Palm Beach Gardens Mall and minutes to the beach, you'll love the Paseos. The Paseos is close to The Maltz Theatre, Jupiter beaches, Abacoa Downtown, Great A Rated Palm Beach County Schools, and The Jupiter Medical Center. Pennock Point is located in Jupiter, Florida close to beautiful beaches and great restaurants. This beautiful community offers beautiful large estate homes homes with wide riverfront views. Pennock Point offers a great location as well as beautiful 1/2 acre plus lots. If you're looking to find one of the nicest ocean access communities, definately visit the Pennock Point area. This great in town community offers something for everyone, whether you are looking for a new estate home, riverfront estate, or just a beautiful home in a great location. Rialto is a beautiful single family homes community in Jupiter. Rialto homes offer a Mediterranean Mission style architecture built by Lennar Homes. Rialto offers gorgeous estate homes with lake and preserve views. Homes in Rialto range in size from 1,800 to over 4,500 square feet. Rialto offers 2 sections of homes (Executive and Estates). Floor Plans in The Estates Section include: Monterra, Stockton, Valencia, Briarbrooke, Valenti, and Stonegate. Floorplans in the Executive Section include: The Castello, Giorgio, The Cambridge, The Murrano, and The San Marco. Riverside is a small and tranquil community of single family homes located in Jupiter/Tequesta, Palm Beach County, Florida. Riverside homes are three bedroom/two bathroom homes and sit on larger lots. Many of the homes have upgrades such as stainless steel appliances, granite counters, wood cabinetry, tile flooring, large closets, crown molding, private swimming pools, and more. The community is close to shops, dining, beaches, library, schools, theaters, parks, major highways, golf, and other entertainment venues. Sea Colony is a great little neighborhood tucked into Jupiter's coast. The community offers many different townhomes as well as a few single family homes. There is a pathway at the back of the neighborhood that lets residents walk right out onto the beach. It's perfect for beach-lovers who don't want to pay the cost of a fancy high-rise. Although many of the townhomes don't have a view of the ocean, those that are close enough can still open their windows to take in the sounds and the perfect sea-air. Sea Colony is also a pet friendly community that allows large dogs. Seawatch is a condominium community located in Jupiter, Palm Beach County, Florida. Seawatch is comprised of one mid rise condominium building, offering breathtaking views of the Atlantic Ocean and the Intracoastal Waterways. Homes in Seawatch offer either two or three bedroom floor plans, in varying sizes and layouts. Units offer stainless steel appliances, granite counters, wood cabinetry, upgraded flooring, crown molding, walk in closets, roman tubs, and more. The community offers a swimming pool, tennis courts, and beach access. Residents are only minutes from shopping, restaurants, major highways, airports, schools, and various entertainment venues. The Shores is a beautiful single family home community located in Jupiter, Palm Beach County, Florida. The Shores is comprised of over 1000 single family homes, which sit along winding roads with large oak trees. Many homes have upgrades such as stainless steel or other new appliances, granite counters, formal dining rooms, walk in closets, upgraded flooring, walk in closets, backyards, crown molding, private docks, and patios. The community is quaint and offers a childrens playground, lakes for kayaking and fishing, walking paths, and a central location near shops, dining, beaches, schools, and many entertainment options. This Abacoa neighborhood was built from 2003 to 2005 by DiVosta Homes. There are 453 homes and townhomes altogether, and many of them have a view of the preserve. The preserve has nature trails, and the community also has a, clubhouse and playground. This is a great family neighborhood with townhomes significantly larger than those in some of the newer sections of Abacoa asking the same price. Many of the townhomes feature a courtyard, which is a favorite for many owners looking for some outdoor space without having to buy a single family home. Valencia is a rare Abacoa neighborhood that solely offers single family homes. No townhomes or condos are mixed in with this high-end neighborhood. The main entrance of Valencia Blvd is lined with gorgeous palms to welcome you home each time you drive in the neighborhood. Homes in Valencia range from around $600,000 to over $1M. The landscaping in this neighborhood is exquisite, and, like the rest of Abacoa, there is a great sense of community, making it a wonderful family neighborhood. Waterbend at Jonathans Landing is a residential community located in Jupiter, Palm Beach County, Florida. Waterbend is comprised of 152 townhomes, ranging from 2 to 3 bedroom floor plans. All of the homes have one car garages. Homes in Waterbend also offer patios, large windows, lakefront and golf views, open floor plans, and many fine finishes. The community offers a clubhouse, state of the art fitness center, manned security gate, and lush tropical landscaping throughout the community. Waterbend is just minutes from shops, dining, schools, theaters, parks, beaches, and a wide variety of sport and entertainment venues. Xanadu by the Sea is a gorgeous gated community located in Jupiter Florida. Xanadu backs up to Carlin Park on the north and Ocean Walk to the south. There are around 60 single family homes with 2 to 6 bedrooms all within walking distance to the Ocean and some with magnificent ocean views. Many homes at Xanadu by the Sea in Jupiter have preserve views behind them and some overlook the lake in Carlin Park. Xanadu by the Sea is in a great location only a short walk to the beautiful beaches of the Atlantic Ocean and only a short drive to all of Jupiter and Palm Beach Gardens's amazing shopping, restaurants, and amenities. Also nearby is the Jupiter Theatre and various indoor and outdoor activities that only Palm Beach Florida can offer. Located here in Jupiter, Island Country Estates is a beautiful gated community offering large acreage homes. This Martin County community offers a beautiful in town location close to shopping and dining. Island Country Estates offers amazing properties as well as homes with there own tennis court. Islands of Jupiter is a beautiful riverfront community here in Jupiter. Islands of Jupiter is a gated community located on the Martin County side of Jupiter. Offering canal front homes as well as beautiful wide riverfront estates, Islands of Jupiter is a hidden jewel on the river. Located in Western Jupiter lies Ranch Colony which is a beautiful gated golf and equestrian community. This great spectacular community offers 257 home sites. Depending upon your need you can buy your home or build a home on one of the undeveloped estate sized lots, many of which are on the golf course or the air strip. The Ranch Colony community also offers great access to both I-95 and Florida's turnpike. Information in regards to Jupiter real estate and any other areas may have come from a cooperative data exchange service. All rights reserved. Information deemed to be reliable but not guaranteed. The data relating to real estate for sale on this website comes in part from a cooperative data exchange program of the multiple listing service (MLS) in which this real estate firm (Broker) participates. Listing broker has attempted to offer accurate data, but buyers are advised to confirm all items. We provide all information about homes for sale or any other areas as is with absolutely no warranties. This site will be monitored for 'scraping' and any use of search facilities of data on the site other than by a consumer looking to purchase real estate, is prohibited. Feel free to contact our agents to find a great Jupiter florida specialist.